Unquestionably, the latest Mobile World Congress editions that took place in Barcelona placed the city in the conventions, fairs and events tourism world scene spotlight. This would have not been possible without the huge mobilization that the event generated in the service sector: meeting areas, catering, communication and transport services have adapted to keep the numbers increasing. In fact, during the last year, the city of Barcelona has registered a 14% rise in this business sector over 2016, with a specific number of 2.134 events, 10,5% more than those that were held in the same year. 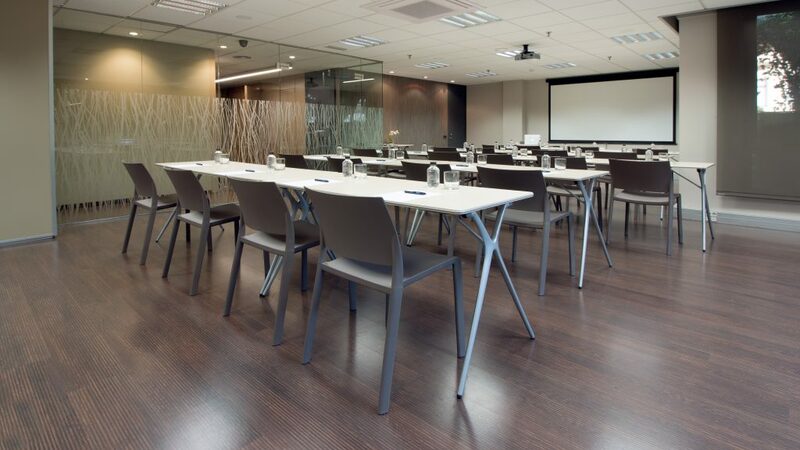 As early as in 2005, Gran Via Business & Meeting Center started a new work stream on the events and meetings sector, allocating areas specially designed for this kind of deeds: “It requires a great investment of time and Human Resources, but it also brings great professional satisfaction”, says Center Manager Susana de la Rubia. The bet has achieved very high performance to this day, with an agenda that includes between 30 and 40 monthly events, and gets tightened between April-June and September-December. The key lies in engaging the center’s team, a team that often has to attend more than one event a day in different time slots: “different events have different setups, and we need to be able to customize each of them according to the customers’ needs”, adds De la Rubia. “We always ask the customers to tell us what they want, and after that we advise them”, pinpoints the Center Manager about the steps which are followed in the events framing. Every area that shapes Gran Via Business & Meeting Center offers a unique personality through decorative features and structures that make them different and specialized in order to answer any request. Areas such as the ‘Black Room’ or the ‘Japanese Lounge’ are some of the most successful formulas. The latter even has an outside exit to a terrace, and lots of natural light. All of these special features make Gran Via Business & Meeting Center one of the only centers in Spain that, despite being assimilated to hotels in this kind of events, is in fact something quite different, due to the point of view provided by the areas: “When customers see our rooms, they appreciate far more the workdays they spend there”, says de la Rubia about the feedback they receive after the customers’ visits. Paying attention to detail is not only about the inside the rooms, but the outside: the wide terraces on the building’s rooftop are also prepared to hold events, with cocktail and catering services offered by a professional team of bartenders who serve the customers with great thoroughness, in the center’s signature style. In this regard, the high demand of spaces during one of the Mobile World Congress latest editions made a big American company hire the terrace every night of the week the event was being held, which implied a huge time and effort investment preventing any contingency: “They wanted something quite special, and we worked very hard to get it”, reminds de la Rubia. “All in all, what we aim is the customer living an experience at Gran Via, not just using a room”, outlines the Center Manager, because anticipating and staying ahead of any kind of demand or problem that can come up is one of the pillars of success of this business model. “We have learned that, if well defined, any kind of event turns to be perfect”, she points out.